A talented coach brings more to the table than sports experience. A strong leader can be a real game changer for any kid — and not just on the field. 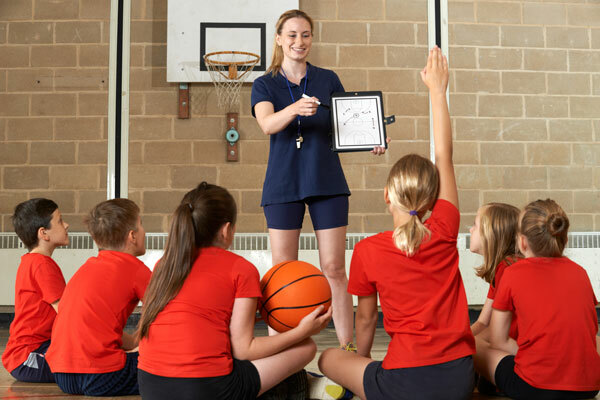 Whether you’re planning to coach or trying to find a good fit for your young athlete, here are the top 10 qualities of an effective coach. Demonstrates a true love of the game. This one may sound like a no-brainer, but it’s a biggie. If a coach is enjoying what he’s doing, everyone around him can see it—on his face, in his body language, through his energy level. (And we can also see it when he’s not.) A true love of the game is contagious, and it breeds players who will love the game as well. Communicates well. From the practice schedule to games, make-ups, rainout venues and more, a good coach keeps it all together. She ensures every member of the team (including players’ chauffeurs, of course) is on the same page. Asks for help. Coaching is not a one-man (or woman) job. Successful coaches get essential backup support from assistant coaches and parents. 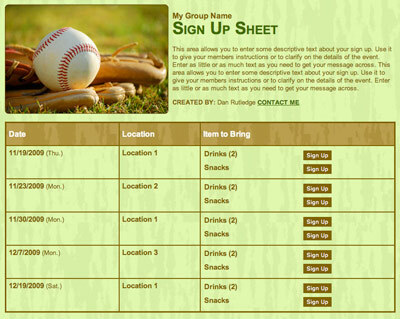 Genius tip: Use SignUpGenius to help coordinate team snacks, extra training clinics, carpool schedules and more. Knows the audience. A soccer team of 4-year-olds is quite a bit different than a soccer team of 14-year-olds. Good coaches know their audience and manage their own expectations accordingly. Attention spans are lapsing? No problem! A rousing game of Duck, Duck, Goose will get the sillies out — then it’s back to those skill sets. Keeps learning. Exceptional coaches and teachers are often exceptional learners as well. They understand that their way isn’t the only way — nor is it always the best way. The most successful coaches leave their egos at the door. They’re always trying to improve, and you can’t do that without learning. Sets a good example. Great coaches walk the walk. They expect their team to be prepared and on time. They expect can-do attitudes out of their players and constructive support (no heckling the refs!) from the parents. Leading by example shows the team what’s acceptable — and is so much more effective than just telling them. Remains open-minded. Things don’t always go the way we plan. And the kid everyone thought would be the star pitcher doesn’t always turn out to be. But that’s the fun of coaching — it’s often like figuring out a puzzle. So James threw it right down the middle every time? No sweat. He could be the third baseman of dreams. Notices the details. A good coach is perceptive and sees things that others may miss. Whether it’s the flick of the wrist that’s sending Sarah’s drives to the rough or the bright smile that’s been missing from Adam’s face, a coach knows his players and is there when they need him most — on and off the field. Relishes the lesson as much as the win. No one likes to lose. But there is always a lesson in a loss. What could the team have done differently? What can they do better next time? Effective coaches see losses as opportunities, and they get their players excited about implementing the newfound wisdom at the next game. Brooke Neal is a freelance writer, brand strategist & mom to three little boys. Organize swim team volunteers for meets. I just coordinated a giant rowing event using your site. I was able to manage the 142 volunteers quite effortlessly thanks to you all! The event went beautifully! I was able to email the folks I needed to easily and the reminder email was perfect. Thanks for creating a really wonderful site.